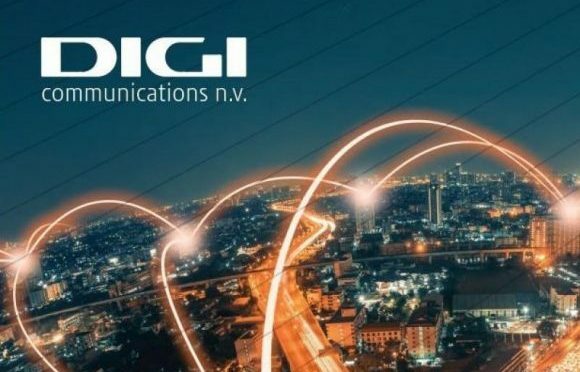 BUCHAREST, Romania, 6-Feb-2019 — /EPR FINANCIAL NEWS/ — Digi Communications N.V. (The Company) would like to inform the market and its investors that, on 6 February 2019, it decided to offer (the “Offering”) additional €125,000,000 5.0% senior secured notes due 2023 (the “Additional Notes”), to be consolidated and treated as a single class with the existing €350,000,000 5.0% senior secured notes due 2023 (the “Original Notes”, and, together with the Additional Notes, the “Notes”) issued by the Company under the Indenture originally dated October 26, 2016 and supplemented on June 8, 2017 and June 28, 2018 (the “Indenture”), which are currently listed on the official list (the “Official List”) and trading on the regulated market (the “Main Securities Market”) of the Irish Stock Exchange plc (trading as Euronext Dublin). The Additional Notes will be offered solely to (1) “qualified institutional buyers” within the meaning of Rule 144A under the U.S. Securities Act of 1933, as amended (the “U.S. Securities Act”), or (2) Non-U.S. persons purchasing the Additional Notes outside the United States in reliance on Regulation S under the U.S. Securities Act. The Additional Notes will not be offered to any person or in any jurisdiction if this would be unlawful or would require any approval. Citigroup Global Markets Ltd. will act as the Sole Global Coordinator and Physical Bookrunner in relation to the Offering. The Additional Notes will be consolidated and treated as a single class with the Original Notes. The minimum denomination of the Additional Notes will be, as for the Original Notes, €100,000. The Additional Notes will have identical terms and conditions in all respects as the Original Notes, including, without limitation, with respect to payments of interest, waivers, amendments, redemptions and offers to purchase. The Additional Notes will be fully fungible with the Original Notes, subject to certain temporary restrictions designed to ensure compliance with applicable provisions of the US law. For more information, please visit the original release on EuropaWire.